Payday was last week. Payday is this week. And PayDay is a candy bar. One out of three in my household ain't bad for this weekend. 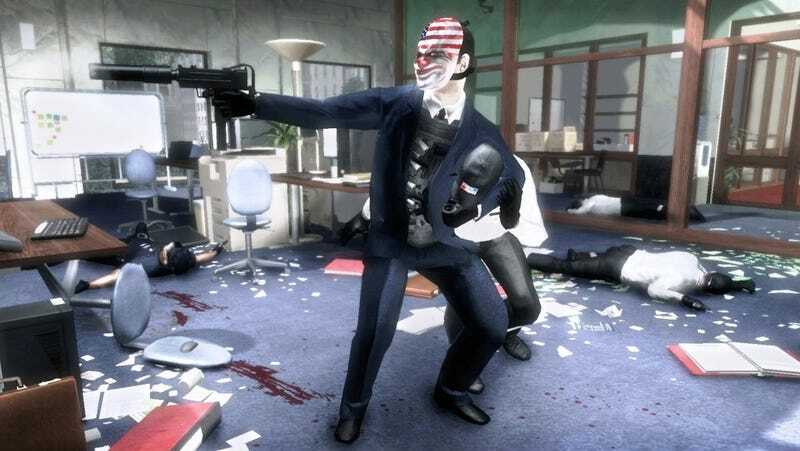 I'm looking to log some time with Overkill Software's crime caper Payday: The Heist (PS3, PC). You? There are all kinds of titles suffering from neglect; I might toss a few in the tray just to keep them from entering pile-of-shame territory, along with my current rotation of NBA Jam and NBA 2K12. Haven't yet picked up Batman: Arkham City but I expect to get around to that soon enough. And yourselves? In addition to Batman, we've also seen recent releases of Forza 4, Gears 3 and FIFA 12. Maybe you're still working on something older? Getting around to something you just picked up used? Sound off in the comments and let us know what you'll be playing this weekend.